IMBA opposes congressional bill HR 1349, which would allow mountain bikes into designated wilderness areas. What do regional IMBA chapters and trail managers on the western slope of the Rockies, and the Colorado Plateau think? A bill introduced in Congress in March 2017, has sparked significant controversy within the MTB community. 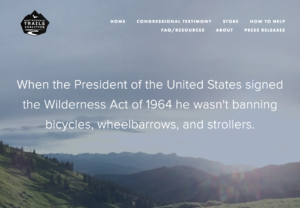 The bill is officially known as HR 1349 – To amend the Wilderness Act to ensure that the use of bicycles, wheelchairs, strollers, and game carts is not prohibited in Wilderness Areas, and for other purposes. The national debate is well-documented, so we thought it would be nice to hear from Western mtb trail mangers for local perspective. First, we’ll summarize what has been going on with this controversial issue (scroll down if you already know the backstory). There is a good argument that the original wilderness act did not ban bicycles from wilderness. The non-profit group Sustainable Trails Coalition (STC) supports the bill, and posted this statement on their website recently: “When the President of the United States signed the Wilderness Act of 1964 he wasn’t banning bicycles, wheelbarrows, and strollers.” The statement raises a question, as Greg Heil writes on singletracks.com, “Did IMBA violate their agreement with the STC?” which basically states the two groups will not undermine each others work. Meanwhile, it seems there is a split between many of the regional IMBA chapters and the IMBA—which apparently didn’t feel the need to pose the question to its local IMBA chapters or membership immediately prior to their announcement. Several of the largest chapters have issued statements critical of the IMBA. The San Diego Mountain Biking Association (SDMBA) posted a statement on their website stating they were “extremely disappointed” with IMBA. While a few chapters have stated support for IMBA’s position, it seems the majority are staying out of the argument. Several trail managers we spoke with were clearly concerned about losing support from IMBA and/or the powerful environmental groups they have been building relationships with for years. And these relationships seem to be very fragile, and most of the lager environmental groups do seem to look favorably on the MTB crowd. Groups like the Sierra Club and Back Country Horsemen of America are opposed to 1349. Arguments against opening wilderness up to cycling mostly center on a perceived protection of wilderness. Yet mountain bikers are generally known to be strong environmental stewards. From my own experience, I know that mountain bikers maintain trails, carry back more trash than they bring in and respect wildlife. Another argument against the bill focuses on the current legislation’s reference to the use of mechanical technology. But as several trail managers told me, you can make the argument that bike technology is no more prevalent or obtrusive than the mechanical technology used by skiers, backpackers and horses. Finally, some arguments are just political rhetoric. One comment, read on a pinkbike.com forum, stated the bill should be opposed becasue it was sponsored by a Republican. Okay. ‘Nuff said. Politics are definitely playing a role in this issue. Before we hear from regional trail managers, I’d like to share a recent poll we posted on the Wasatch Rider facebook page. Readers were asked, “Do you support HR 1349 that would potentially allow mountain bikes into designated wilderness areas?” 80% (482 of the 602 respondents) voted YES. So it is clear a huge majority that riders want wilderness access. Question is: do our regional trail management groups reflect this majority opinion? Mountain Trails Foundation (MTF) certainly does. While not an IMBA chapter, Park City, Utah and its largest and original trail management organization MTF do benefit economically from the IMBA Gold Ride Center status. Charlie Sturgis of Mountain Trails Foundation in Park City, UT. 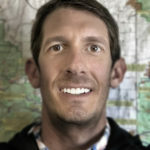 MTF Executive Director Charlie Sturgis has been engaged in the wilderness debate since the beginning of mountain biking. Take horses for example. Sturgis feels that if it came down to bikes versus horses, he would choose bikes. He says bikes leave less an impact than horse pack trips, which can pack in a lot of trash and may not always pack it back out. 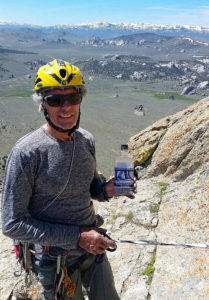 Charlie is also an avid climber, and says he would “love to see bolting piggybacked on the to bill,” thus opening up more opportunities for climbing in the wilderness. But I digress. Sturgis’ position on allowing bikes into wilderness seems to be inline with HR 1349. As long as local wilderness management agencies engage the community, he believes some positive things can happen. “There’s a section of the Bonneville Shoreline Trail (on the Wasatach Front) that is interrupted by the Lone Peak wilderness, so riders are unable to connect.” Providing wilderness access in spots like this, that would not “center-punch” the area, would not really change that wilderness area. Sturgis’ support does have a caveat: he believes no new trails or improvements to existing trails should be made for bikes. Hike-a-biking has long been part of the mtb experience and he is fine with leaving it that way. 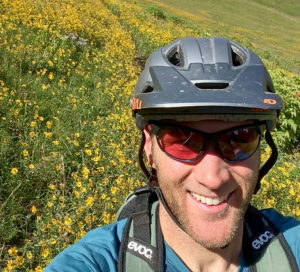 Jordan Carr, San Miguel Bike Alliance in Telluride, CO.
Carr’s concern is that some wilderness areas could be exposed to a destructive land-use focus as a result of BLM/NFS resources being stretched too thin. Indeed, one region I spoke with recently claimed they lost two of three BLM employees. It’s not clear what role these employees might play in determining potential land use changes to their local wilderness, but it is easy to see why Carr is concerned. That said, Carr is a proponent of working with federal land managers to maintain existing trails, or include new ones, in Wilderness Study Areas (WSAs). WSAs are public lands being reviewed to determine if the land should become designated wilderness, a multi-use or something in between. First discovered by French trappers in the 1820s, the Teton area of southeastern Idaho and northwestern Wyoming is an IMBA Silver Ride Center. Like Park City, the Teton region benefits economically from the ride center status. The local IMBA chapter, Mountain Bike the Tetons (MBT), has received a lot of support from IMBA. So I expected them to tread lightly when discussing the issue. MBT recently hired Tony Ferlisi as their new executive director. When I first spoke to Ferlisi, he felt he was too new in the position to comment personally on the issue. He did tell me his board of directors were planning to address the issue at their next meeting, which took place a few days later. When Ferlisi followed up—as I expected—his board had discussed the issue but was not ready to release a formal position on the issue. Like other trail management organizations we spoke with, Furlisi and MBT have more urgent issues at hand. The Teton region has more designed wilderness than you can shake a stick at and, with potentially more on the way, several iconic trails are hanging in the balance. When he was hired, Ferlisi was immediately given a position on the Wyoming Public Lands Initiative (WPLI), which was formed to recommend designation of two BLM and USFS WSAs—Palisades and Shoal Creek. These WSAs could remain multiple use areas or they could become designated wilderness—which would remove them from the inventory of trail areas currently used by mountain bikers. The Palisades WSA includes famous trails on Teton Pass—initially created by the Teton Freedom Riders and eventually adopted by the NFS. Both organizations were pioneers in demonstrating how community-based groups and government agencies could successfully collaborate. On the Idaho side of the Palisades, popular trails like Mail Cabin are also within the Palisades WSA. So yes, MBT has its work cut out for it. “Keeping existing trails open to the public is a priority,” says Ferlisi. Fortunately, every user group represented on the WPLI is in agreement that no matter what the ultimate designation of the Palisades WSA, access must remain as it is. Ferlisi reports that the group as a whole is open to adding seasonal restrictions where it makes sense, in order to protect wildlife habitat. We’ll update this story if MBT decides to take a formal position on the wilderness issue. 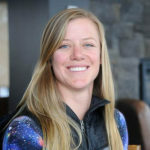 Kelly Northcutt was recently hired as executive director or the Routt County Riders (RCR), an IMBA chapter based in Steamboat Springs, CO. In addition to locals, Steamboat gets a lot of skiers and riders from northeastern Utah and southern Wyoming. Personally, Northcutt says it would be hard for her to advocate for wilderness access. Her big issue is wildlife impact. “There’s not enough research to know the long term affects of foot traffic on wildlife, let alone bicycles,” she says. The slightest chance of putting any additional strain on wildlife is not worth it to Northcutt. Northcutt also shared some quotes from her board, who were split on the issue of opening up wilderness to bikes. One RCR director’s personal position echoed a common theme, stating that smart access would support the “Routt County Riders’ push towards connectivity.” As such, access through the Mount Zirkel Wilderness would enable riders to connect from Mad Creek up to North Routt. Steamboat Springs has a lot NFS trails, but only one small wilderness area in their region. When you consider the process of gaining wilderness access, Northcutt does not think it’s a wise way allocate RCR resources. She notes that the National Environmental Policy Act (NEPA) for adding new trails on NFS land is about a two year process. With the Sierra Club already fighting to keep RCR from getting approval on those new NFS trails, Northcutt says she can’t imagine how challenging and time-consuming the process for wilderness approvals would be. In the end, and her own efforts notwithstanding, Northcutt does believe that if wilderness access was based strictly on a case-by-case basis, there could be some areas around the country where access would be acceptable. Vernal, Utah has amazing topography with abundant trails similar to Fruita, CO. Vernal’s Northeastern Utah Mountain Biking (NUMB) is an IMBA chapter, and Tildon Jones is the president of the group. 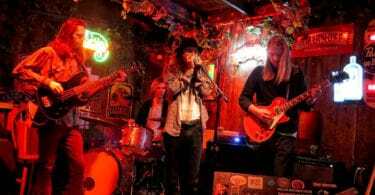 Jones tells me NUMB started out as “a bunch of friends who rode together” and organized the group to better respond to a proposed four-lane byway that would connect Vernal to I-70. The byway would split a roughly 60-mile network of hard-earned trails and, like the Teton region, protecting existing trails is the clear priority. Jones says NUMB became an IMBA chapter and, as a result, IMBA helped significantly by filing its own response to the proposal. NUMB has taken no position on HR 1349 nor on IMBA’s response to the bill. Jones says there are only a handful of small wilderness areas in their region and there is no biking in proximity to those areas. Instead of worrying about new riding opportunities, Jones has his hands full protecting the trails they have. On one hand, NUMB works to ensure that environmental groups understand NUMB will not support wilderness proposals that would result in the loss of any mountain bike trail. On the other hand, Jones says NUMB spends considerable time getting other trails adopted by the BLM, which increases the level of protection. The conversation on Vernal would be complete without getting Troy Lupcho to weigh. Lupcho started building trails 23 years ago and has had a hand in building many of the great trails in the region. Lupcho, who also owns Altitude Cycle, is on the fence about HR 1349 and sees both sides of the argument. However, while Jones seems happy with IMBA’s support of the Vernal scene, Lupcho is not exactly doing back flips. After many years of IMBA membership, Lupcho says he decided not to renew his membership this year. Lupcho believes IMBA’s non-stance is silly and flies in the face of their mission. He also believes the support from IMBA is not that great, saying the group says they would need “more funding” in order to provide additional assistance. Vernal is small, and the membership is as well, so there only so much blood that can be squeezed from that turnip. Citing rumors about IMBA’s financial instability swirling, Lupcho wonders if IMBA affiliation will ever provide a tangible benefit Vernal. He points to Park City, UT, and other amazing trail areas to do just fine without IMBA support. 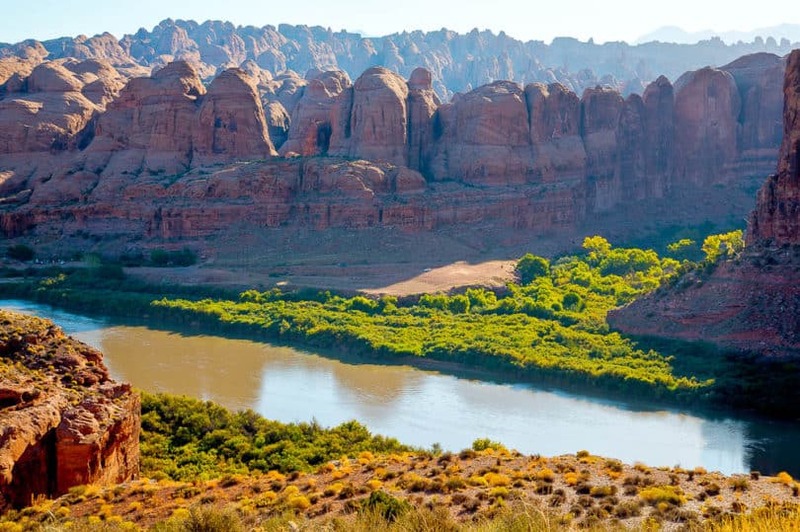 In the 1850’s, Mormon settlers from the southern states found they could grow cotton and tobacco in this region of southern Utah and the name Dixie stuck. 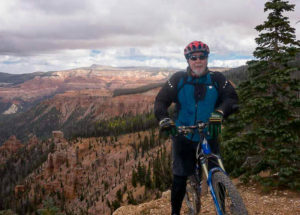 In 2010, riders formed the Dixie Mountain Bike Trails Association (DMBTA) in response to a BLM travel planning process. DMBTA represents riders from Iron, Kane, Washington and Garfield counties in Utah and includes great riding areas like Hurricane and Goosberrey Mesa. Current board president Kevin Christopherson says his board is intentionally staying out of the debate. They will stick to their mission which is pretty straight forward: “Build. Maintain. Ride.” According to a loose poll, based on private conversations, he guesses his membership is split about 50/50 on the wilderness access issue. Kevin Christopherson of the DMBTA in Southern Utah. Personally however, Christopherson does not agree with IMBA’s position and sees value in supporting the bill. Working as a wildlife biologist back in the day, Christopherson was relatively familiar with the process of establishing wilderness areas. “This was before the days of GIS and GPS, many wilderness boundaries were set arbitrarily,” he says. “Often times by college interns,” he adds somewhat jokingly. Like other trail managers, he thinks intelligent changes, based on science, could benefit all. Christopherson sites a boundry along the Canaan Wilderness that was set along the Smithsonian Butte Backcountry Byway, connecting Grafton and Wire mesas. A short section of the road runs along the edge of a cliff, with dangerous blind curves. If the wilderness border could be adjusted 10-20 ft along that section, Christopherson says a single track trail could be added that would make the area much safer and more enjoyable for mountain bikers. He asserts this change would not impact the wilderness experience at all. The Trail of the Ancients, through the Canyons of the Ancients National Monument in southern Colorado is a “good metaphor” for the wilderness access argument says Christopherson. Federal land managers, there, allowed for a trail mostly along the eastern border that is open to bikes and does not take away from the wilderness experience. Given the politics of the IMBA wilderness issue, I appreciate the trail groups and managers who took the time to share their thoughts with me. Several groups were unresponsive to my inquires and I can only assume it is the sensitive political nature of the issue causing them to avoid the conversation. It’s too bad, really, that we live in a hyper-sensitive, politically correct environment. I miss the days of civilized debate, where nobody feared economic repercussion for exercising their 1st amendment right to express opinion. I miss the days of civilized debate, where nobody feared economic repercussion for exercising their 1st amendment right to express opinion. Many of these groups are volunteer based, and that it can be challenging to work a full-time job, so I’m not going to bust any balls here. 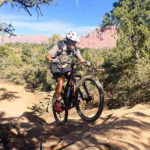 I would love to hear from someone at Moab Mountain Bike Association, which is an IMBA Chapter, as well as the Colorado Plateau Mountain Bike Trail Association. We tried reaching out to Southern Idaho Mountain Biking (SIMB) in Twin Falls, ID, which is listed on IMBA’s website as a chapter, but the SIMB web site is no longer avaialable. According Josh Kenyon, who we found on the group’s facebook page, the group is struggling to stay active in the IMBA. Based on his own loose polling, Kenyon says very most riders he has spoken with feel bikes should allowed in the wilderness. “The feeling I get around here is we are in favor of the bill, say Kenyon.” This mirrors our own poll. 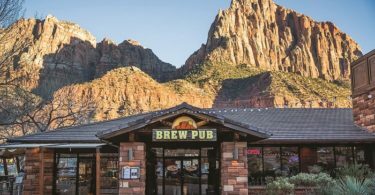 Like southern Utah, we have heard many stories of IMBA chapters failing financially, with some citing IMBA membership cost versus benefit as a factor. According to Greg Heil (again) at singletracks.com, the San Diego Mountain Bike Association collects roughly $60,000 in membership revenues every year, and sends $36,000 of it to IMBA. We’ve also heard rumblings of dissatisfaction with IMBA’s management direction. Christopherson added that IMBA’s decision to not support HR 1349 has resulted in many of his members letting their IMBA memberships expire. He also believes the current IMBA board has too many industry representatives who are politically and financially motivated. With many IMBA chapters, trail groups and individuals opposing the IMBA’s position on the issue, one has to wonder if this is the beginning of the end for IMBA. It’s clear IMBA’s strategy was to not upset the Big Enviro apple cart, but putting relationships with environmental groups over the needs of membership seems to have been the wrong move. One chapter representative stated off the record that they believed IMBA appears to be on the way out. Charlie Sturgis agrees the IMBA has lost a lot of credibility in the past few years, but he remains optimistic the organization will correct its course and return to its former glory. Wasatch Rider believes regional trail management groups must reflect the desires of their membership. We also believe political maneuvering is absurd. Our polling suggests that groups standing with IMBA, as well as those taking a non-position on the issue, are not listening to their membership. Instead of working in a vacuum, these representative organizations should poll their members, as we have our readers, and debate the issue. If trail management groups do this, we believe a consensus will be reached for smart wilderness access. Access with limitations that protect wilderness while greatly increasing the opportunity and experience for riders. HR 1349 currently is being reviewed by the Congressional Budget Office and must pass the House and the Senate before it even makes it to the president’s desk. We’ll keep you posted on any breaking developments. Until then, keep the rubber side down. 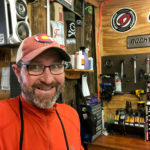 Scott my name is Marcus Tillman and I’m the Trail Director for NEABA(Northeast Alabama Bicycle Association – an IMBA/SORBA chapter), our board also voted to not take a stance on HR 1349. I was the only voting board member in favor, so “no stance” was decided best. Would you be willing to come to a chapter meeting and speak on the subject? If not, could you do a telephone conference with our board? I feel that board is uneducated on the subject and apathetic because we no Wilderness area near our Trails. However Pisgah(a short drive from Anniston) is feeling the plight of over zealous conservation now with proposed trail closures looming. Hi Marcus, I would be happy to help you out. I’m currently trying to reach my congressman to get a few more details on the bill, like why did they include “survey wheels, measuring wheels” in the language. What is the intent? Awesome, I would love to ride some of these trails that go into just the bottoms of the Wilderness areas Christmas Meadows Yellow Creek if horses can go and the Damage they do and their feed and they’re there po_ _ on the trail and the invasive plant seeds they bring in from their horses poop. I am a conscious mountain bike I pick up stuff take stuff out I love getting into the Solitude the beauty and my bike allows me to get in further and deeper and just more awesome beautiful parts of America. Please open up the Wilderness to mountain biking. 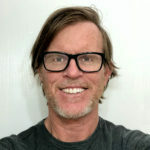 I’m Kevin Loomis, President of the San Diego Mountain Biking Association (SDMBA). Thank you for the balanced article! SDMBA polled our members – over three quarters support HR 1349. Worse, due to IMBA’s anti-bike stance, we’ve lost members (they are angry). As stated in your article, two years ago we paid IMBA $36k in membership dues with last year being capped at $25k. Since then, IMBA stopped all state representation, intentionally exploded HR 1349, is pro eBike, and has become the voice industry/environmental groups (not mountain bikers first). IMBA is toxic to many riders. Due to this, SDMBA notified IMBA we’ll be leaving as a Chapter April 29th (we have over 1,000 paid members). Personally, I feel more clubs/chapters would leave were it not for IMBA managing clubs’ membership. SDMBA spent a year identifying a membership management platform along with a marketing company. Very shortly, we’ll make public an inexpensive package for clubs to follow (should they desire). This will be a ‘plug and play’ allowing clubs to take back control, while also being able to share best practices and data between clubs – all at a deep discount relative to IMBA. SDMBA has no affiliation with this platform and will receive no benefit – it’s all about helping the community. Sadly, while I want to support IMBA, their board is run by industry and environmentalists (SRAM pushing for ebikes, REI being against wilderness access, plus many others). IMBA did poll members two years ago, wilderness being one area. The result (this is before HR 1349), 49% supported bikes in wilderness. This number jumped to 74% of Chapter Presidents west of Colorado (where most wilderness is located). IMBA has kept this quiet as it goes against their narrative and proves they don’t listen to riders. After years of working with IMBA to better represent riders, SDMBA determined industry and environmentalists hold more weight than riders. Riders WANT a national organization to represent them and are willing to pay. However, riders want to set the agenda and have their voice heard. IMBA better be careful – another organization could soon step into the gap! I’d personally welcome this. After SDMBA and others put IMBA on notice, I was wondering how long it would take for the show to drop. SDMBA has demonstrated the importance of listening to members. Will IMBA do the same, or will they go the way of the dinosaur? BTW, once you get the bugs worked out, please share your membership solution with us and we’ll do our best to spread the word. You got it Scott! There will be a transition to iron out the bugs. Will keep everyone posted. Well put, Kevin! I’m so BUMMED imba has lost their way. We need a national MTB org that can do more than pick the low hanging fruit. As an STC board member that lives in Chairman McClintock’s California district, I welcome any and all questions. Emotional and knee jerk ad hominem attacks will be ignored (or fought with facts). Put on the big boy pants and let’s talk.